Coaches and athletes alike can use the system to quantify improvements in technique and performance, and to optimise rig and equipment. It provides valuable feedback from uncoached outings. Coaches will find the system an excellent tool for working with athletes and setting targets. The selection process is aided by identifying well-matched techniques and quantifying power outputs for each crew member. The standard product includes oarlock force and angle, boat speed and motion. Systems can be scaled from 1x to 4x, 2- to 8+. Additional sensors can be simply added to provide measurements of stretcher force, seat position and many other parameters. All units are engineered to a high quality and calibrated on automated test equipment. We have been supplying to national teams since 2002, and our systems are now used by clubs, schools and universities worldwide. 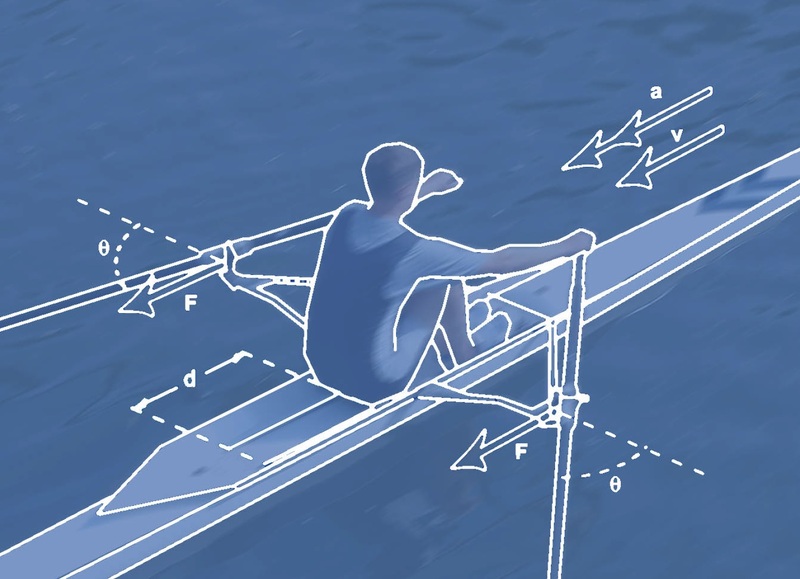 "The Peach system has transformed rowing biomechanics in Australia. Our understanding of rowing has grown tremendously with Peach. Peach has given us access to metrics that were previously difficult to obtain." "The Peach system helps provide the coach with invaluable information their eyes and stop watch simply cannot see." "I began looking for a system to measure the rowing stroke in 2005, and Peach had the system I wanted. I have used the system at Eton since then, and also invested in a system for Melbourne University Boat Club, Australia in 2010. It is fundamental in my coaching, and now I know it is also fundamental in my competitors' coaching too. The insights Peach give provide essential descriptions of the rowing stroke so that rowers can see how they're doing and what to improve or reinforce, how I can rig the boat for individuals, and even how I can resolve tricky selection decisions objectively without the need for seat racing. A decade ago, Peach presented a competitive advantage for a few. Nowadays, not having a Peach system in your coaching arsenal is unusual. How you use it is up to you!"